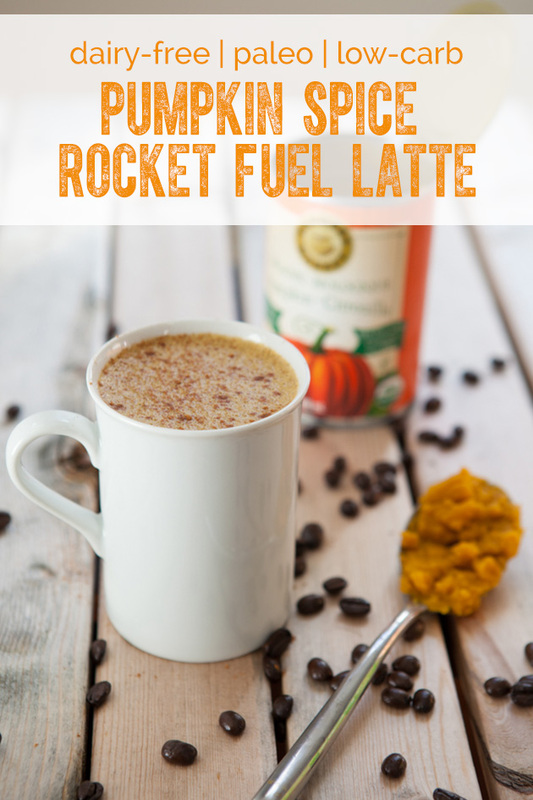 The oil that acts like rocket fuel for your body and brain, boosting your metabolism and providing steady energy all day through. 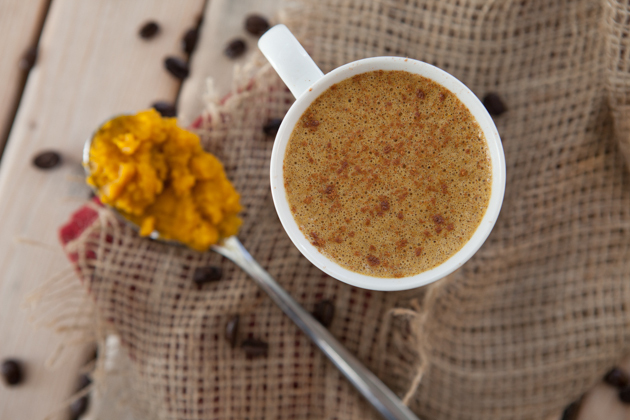 Plus, a recipe for dairy-free, keto pumpkin spice lattes. Triglycerides, fats, fatty acids, they’re all the same. Triglycerides come in various lengths – short, medium, and long – determined by how the carbon atoms are arranged their structure. The cool part? Where most fats are broken down in the intestine and transported in the blood, the medium ones (called medium-chain triglycerides aka MCTs) are absorbed intact and taken to the liver, where they are used directly for energy. Like other keto fats, MCTs provide more energy per ounce than carbohydrates (carbs = 4 calories per gram, fats = 9 calories per gram); but unlike normal fats, this energy can be released rapidly. This highly accessible energy can be used by all parts of the body, including the brain – the fattiest organ in your body that’s made up of over 60% fat. Here’s where things get a little muddled. MCTs increase the ketone level in your body, naturally. The benefits I’ve outlined below are very much in line to the results one sees when in a ketogenic state. Basically what I’m saying here is that MCTs are awesome, ketosis is awesome, and whether you choose to do one, or both, you’re in a good place. It’s a boost for your metabolism. MCTs increase the body’s ability to burn more energy by increasing thermogenesis. It’s a kick-start to awesome weight loss. MCTs may help reduce the size of fat cells, leading to weight loss. It’s constant, steady energy. MCTs provide rapid-fire energy, directly to the places that need it most, burns clean and constant without the energy lulls. It’s rocket fuel for your brain. MCTs quickly raise ketone levels to provide your brain with an alternative fuel that won’t die out. Ketones are the brain’s only alternative fuel source. As people age or suffer from neurological decline, the brain becomes less able to utilize glucose, its usual fuel source. When this happens, brain cells begin to decline and die. Typical diets generate low levels of ketones that are unable to adequately supply these energy deficient brain cells. However, when you raise the body’s ketone levels sufficiently, the brain will always fully utilize them, thus providing support to those same cells that were in decline. Not interested in ketosis? That’s okay. MCTs are for EVERYONE. Interested in ketosis? Grab your copy of my newest digital program, The Keto Beginning: Complete Guide + 30-day Meal Plan. 17 chapters, 147 pages + over 70 high-fat, low-carb, moderate-protein, keto, dairy-, gluten-, sugar-, grain-, legume-free recipes – the resource that empowers your body + mind to achieve the state of health you’ve been searching for. Coconut oil, red palm oil, and butter contain up to 15% MCTs (plus a lot of other fats). 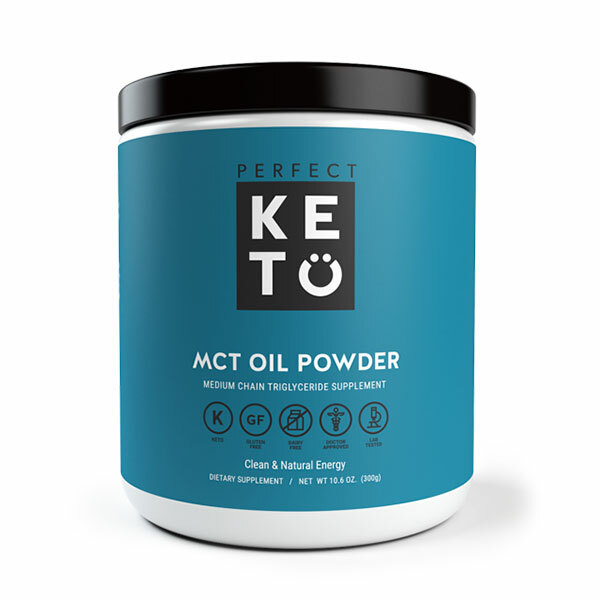 If you’re looking to increase your ketones and cash-in on the benefits of MCTs, your best bet is MCT oil – a highly concentrated keto oil, filled with medium-chain triglycerides, about 8X stronger than coconut oil. It’s generally made up of a combination of coconut oil and palm oil. Up until a couple of months ago, I was using coconut oil as my MCT source. 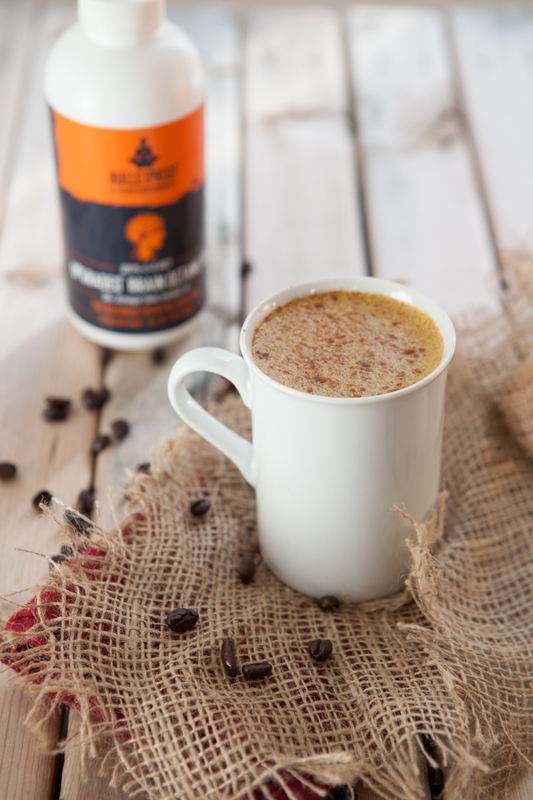 The first time I tried MCT oil in my coffee… my brain got the strongest JOLT of energy and clarity I’ve ever experienced. Yes, MCT oil is created by extracting certain elements from whole food sources, just as your greens powder or whole food-based supplements are. Heck, even coconut oil is extracted from coconut which is… processing! 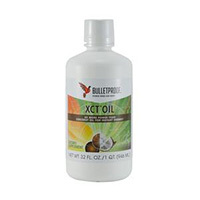 When looking for an MCT oil, find one that is made from palm kernel oil (less processing) as opposed to palm oil. If palm oil is used, a lot of processing has to go into removing the color and flavor. 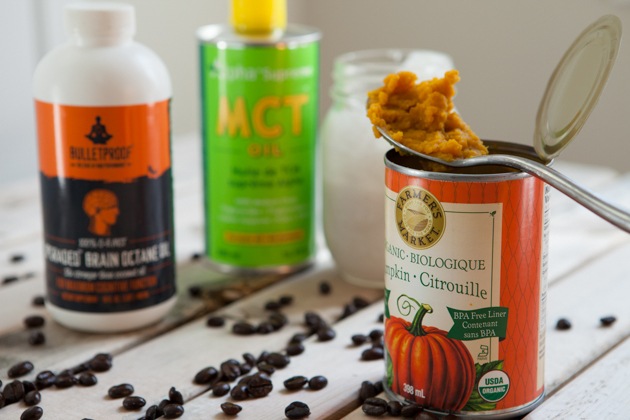 BulletProof MCT Oil: 6x stronger than coconut oil. Mixture of caprilic acid and capric acid. Ratio unknown. 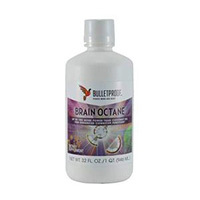 BulletProof Brain Octane Oil: 18x stronger than coconut oil, crazy concentrated and awesome. 100% Caprylic Acid. 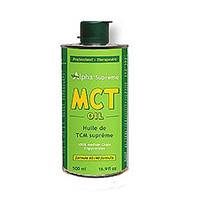 Alpha Supreme MCT Oil: More accessible than the other two. 60% caprilic acid and 40% capric acid. Blend it with your tea or coffee (recipe below! 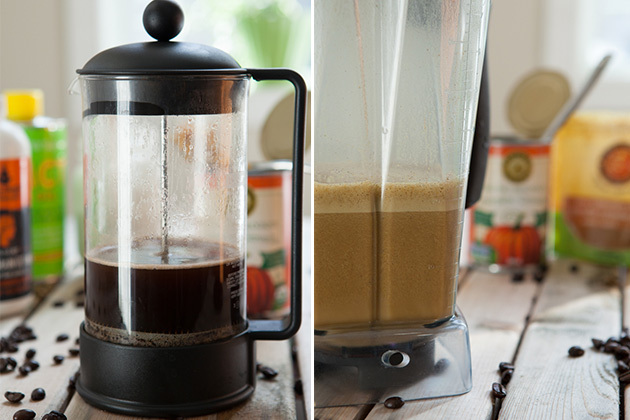 ), smoothies, drizzle it over your cooked roasted vegetables, salads, or make chocolate with it! You can turn almost anything into a keto delicacy with this wonder oil! 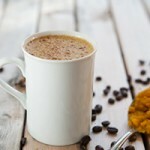 A keto, dairy-free pumpkin spice latte made with MCT oil that propels the health of your body and brain, boosting your metabolism and providing steady energy all day through. Alcohol-free Ingredients: I use alcohol-free ingredients so that it doesn’t affect the taste. Can you see yourself using keto MCTs on a daily basis for overall health? What sorts of keto dishes or drinks could you see yourself adding MCTs to?